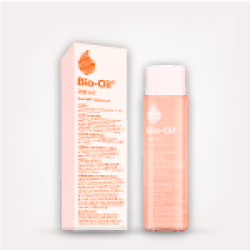 Bio-Oil Skin Care 125 ml + 25 ml FreeSCARS STRETCH MARKS UNEVEN SKIN TONEBio-Oil® is the wor.. This package includes 3 items, for a full care of pregnant skin before delivering her baby:&nbs.. This package includes 3 items, for a full care of pregnant skin after delivering her baby :&nbs.. This package includes 3 items, for a full care of pregnant skin after delivering the baby: .. This package includes 3 items for a full protection of pregnancy strech marks: 1- Palm..
A powerful combination of Cocoa Butter, Collagen, Elastin and Shea Butter that firms and tones whils..
Bio-Oil Skin Care 60 MLSCARS STRETCH MARKS UNEVEN SKIN TONEBio-Oil® is the world's leading s..
Bio-Oil Skin Care 125 MLSCARS STRETCH MARKS UNEVEN SKIN TONEBio-Oil® is the world's leading ..
Bio-Oil Skin Care 200 MLSCARS STRETCH MARKS UNEVEN SKIN TONEBio-Oil® is the world's leading ..
Renews youthful appearance after pregnancy and weight loss. The Palmer’s name which denotes qua..
Cocoa butter stretch mark lotion helps visibly improve skin elasticity and reduce the appearance .. The perfect first step to caring for your pregnant skin. Gently cleanse and soothe dry, itchy and st.. Formulated to help improve the appearance of Scars, Stretch marks, Dry, Damaged Skin, Uneven skin.. Specially formulated for expectand and new mothers, Stretch marks prevention cream helps prevent str.. Specially formulated for expectand and new mothers, Stretch marks recovery serum helps reduce the ap.. Triple soft formula to help prevent and reduce stretch marks during and after pregnancy or weight ga..